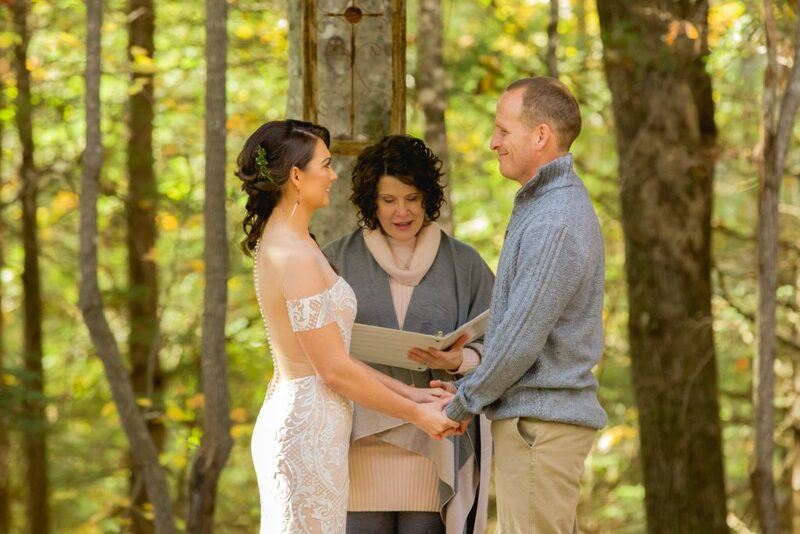 It has taken some time since our gorgeous fall wedding for me to be able to form into words exactly what our wedding day was and to share all the details that made it so beyond special. The impact of our full-circle moment is something we will never forget. 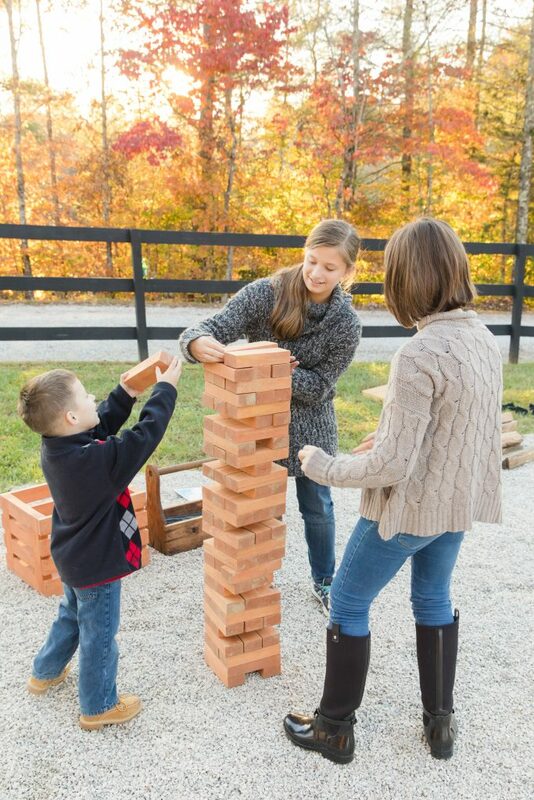 Together with our closest family and friends,we celebrated overcoming obstacles, of heartache, of illness, and all the millions of joys that brought us closer together over the years. We celebrated in a space that was created by us, for this purpose; a vessel to hold celebrations of joy and meaning and it filled our hearts to finally arrive at that moment we had waited so patiently and worked so faithfully toward. 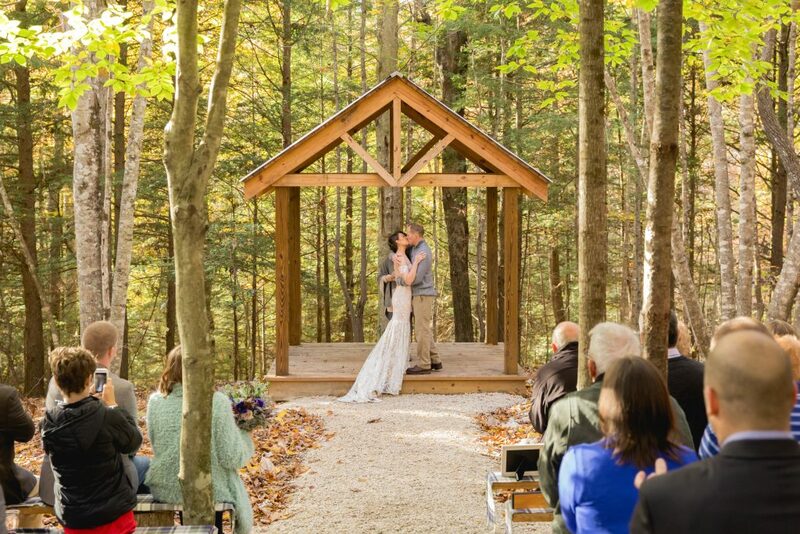 We set our wedding date in December of 2017 with the main intention of allowing our focus to be on our couples throughout the season and save our wedding day for the end of the season after all other weddings had taken place. 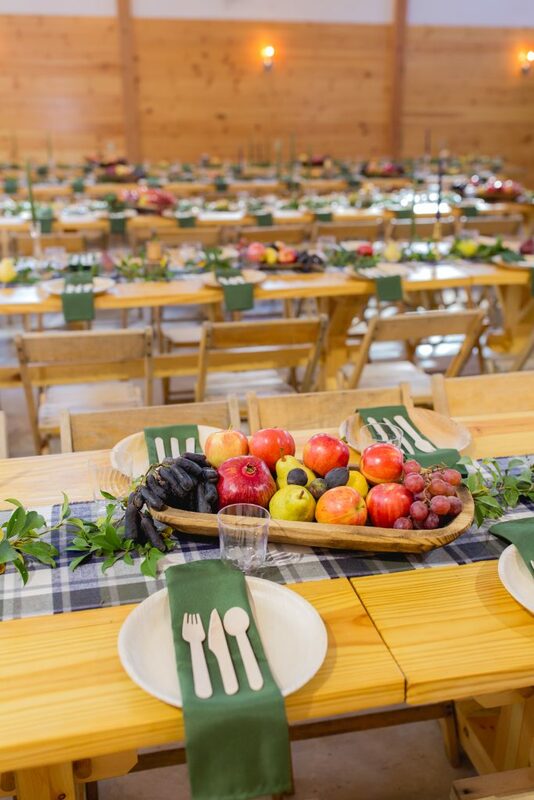 We had no idea that peak color weekend would wait for our fall wedding day and full autumnal splendor would unfold just in time for us to enjoy with family and friends. 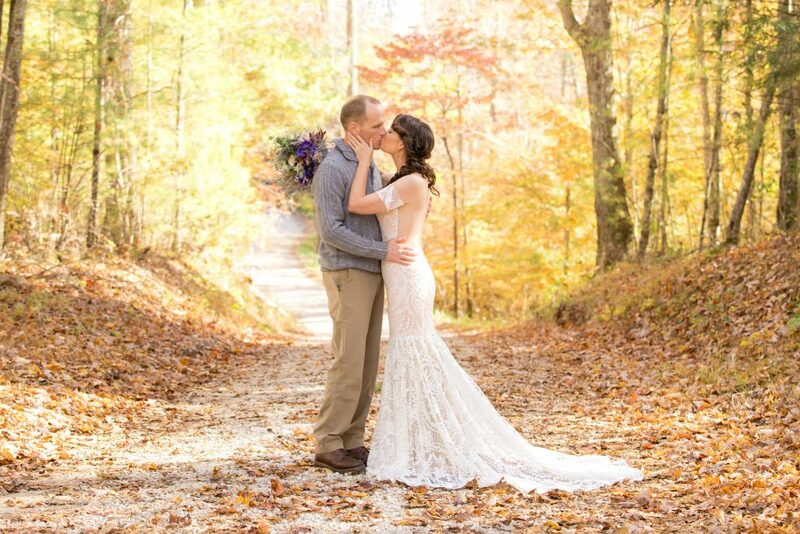 The colors this year were spectacular, and the weather was absolutely perfect with plenty of sunshine and ideal fall temperatures The Red River Gorge was truly breathtakingly beautiful. 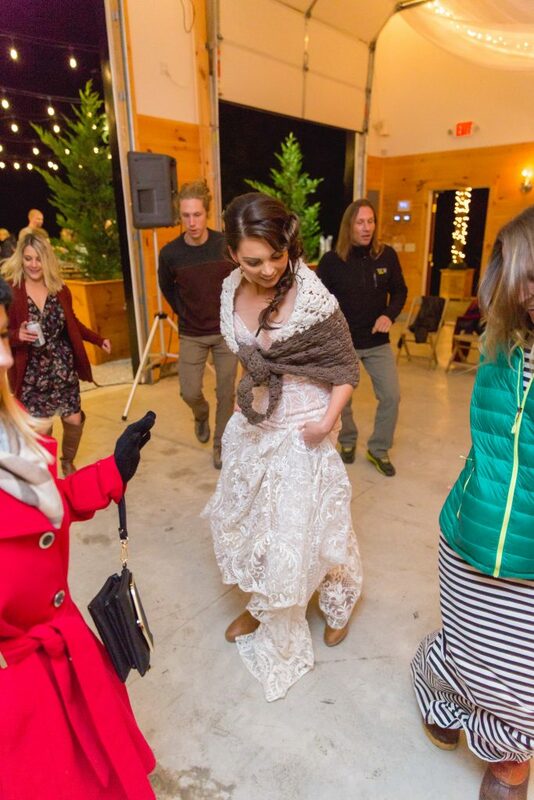 It was important to Skip and I to make our wedding comfortable for our guests. After all, we were inviting them into our home and wanted everyone to feel that. 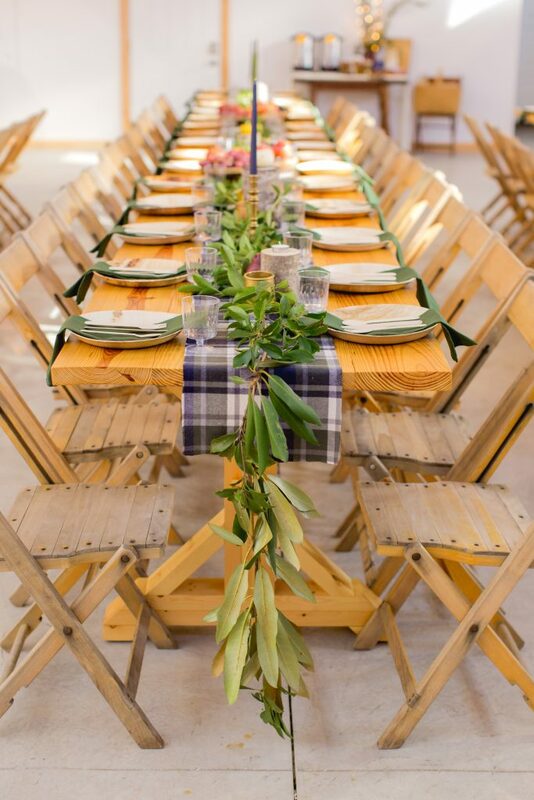 The word home has been a constant theme throughout our relationship, and so it only felt right that it should be the underlying theme of our wedding day too. 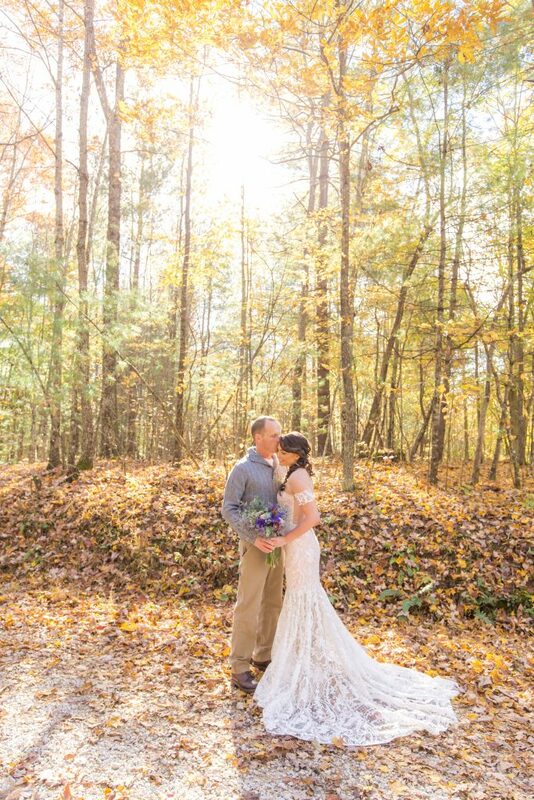 We also wanted our wedding to be as Eco-friendly and green as we could possibly make it, using mostly all local vendors, and I’m excited to share with you the results! 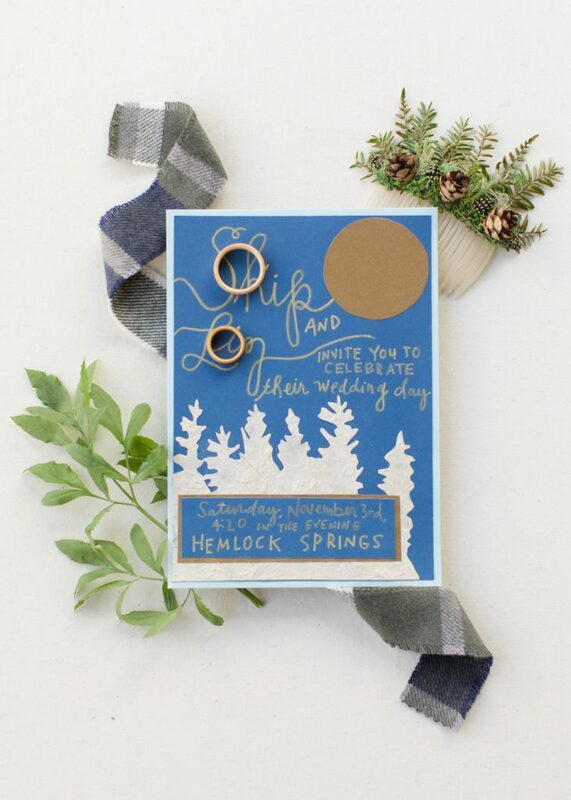 Trying to be as green as possible, we went with electronic invitations…but not just ANY electronic invitations. 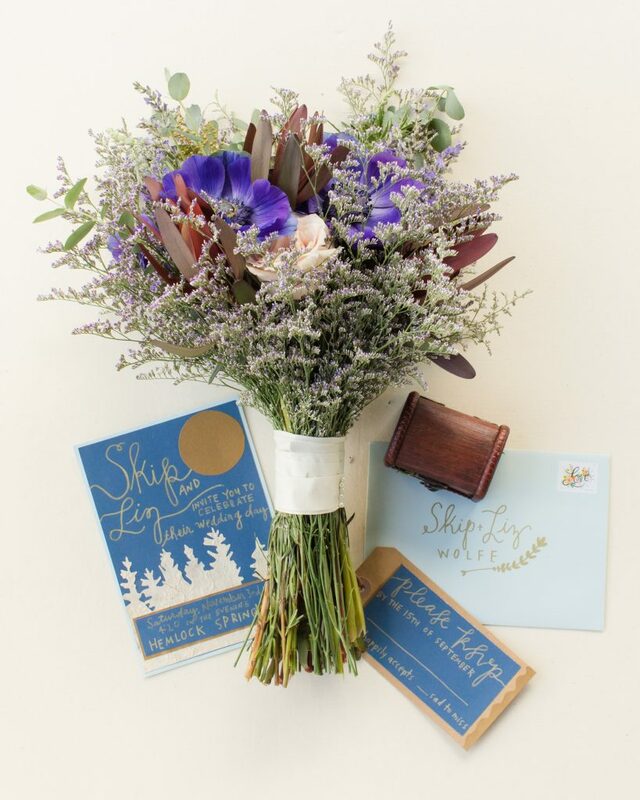 Skip loves quirky and fun things, so we used Happily Ever After Animations to create a custom video invitation with avatars that looked like us telling the story of how we met, fell in love and then the details for the wedding. Our guests loved them! If you’re looking for a fun option, give Suzanne a shout! To see our animation, click here. We knew our friends Kevin and Anna would want lots of details to take photos of, so the amazingly talented Kalyn Powell made some custom invitations for them since the animated invitations wouldn’t photograph well. 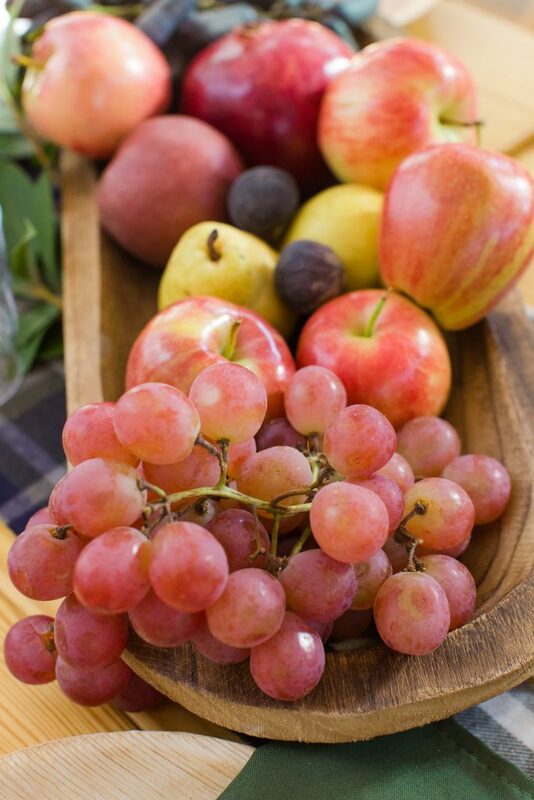 Growing up, my grandmother always had a bowl of fruit on the kitchen table. It was, for me, a hallmark of hominess. 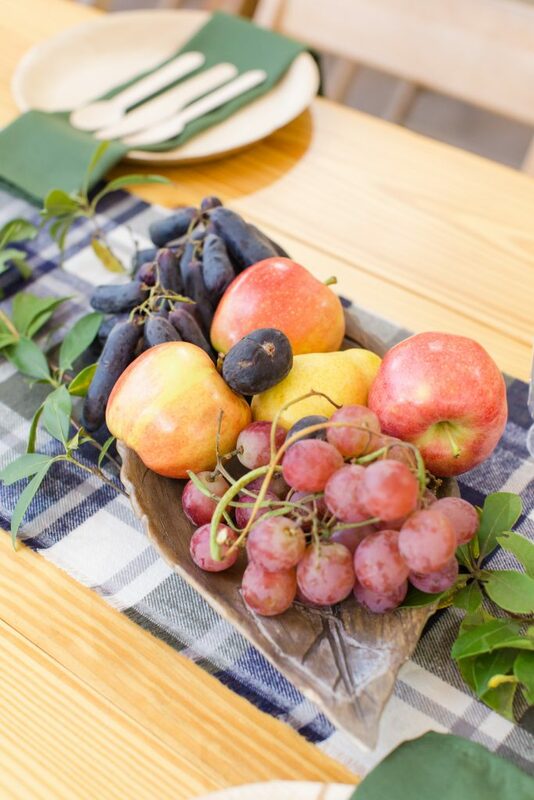 I wanted the table décor to be dual purpose, so I opted to use in season fall fruit as well as miniature pumpkins I grew in the garden for both pops of color on the tables and for the guests to enjoy…just like they would have at my grandmother’s house.The fruit was placed in dough bowls on the tables, spilling over the sides and placed down the centers on blue and green checked flannel runners. Skip and I cut rhododendron and mountain laurel boughs from the property to be made into garland that brought another organic element to the tablescape. 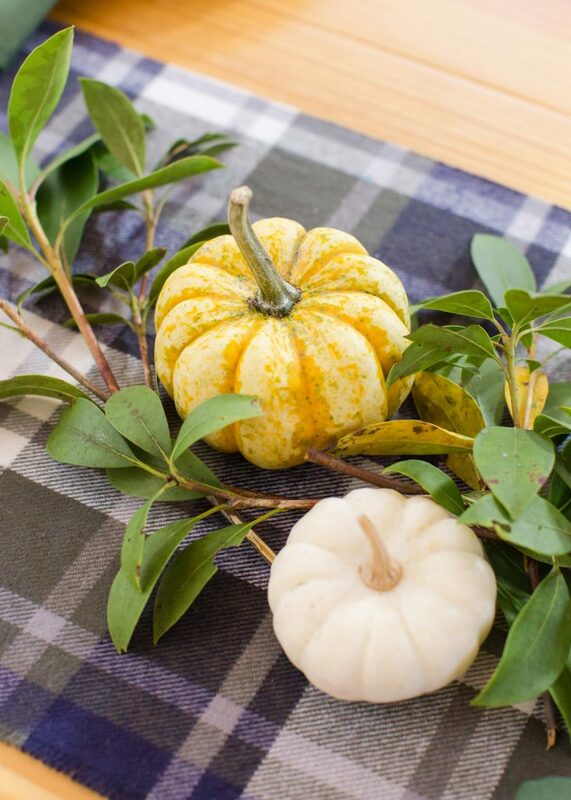 I scoured antique stores for brass candlesticks to use in mix and match fashion on the tables along with harvest green and navy taper candles to tie in the color in the flannel. We used biodegradable palm leaf plates and bowls as well as bamboo flatware, which our backpacking guests absolutely loved! 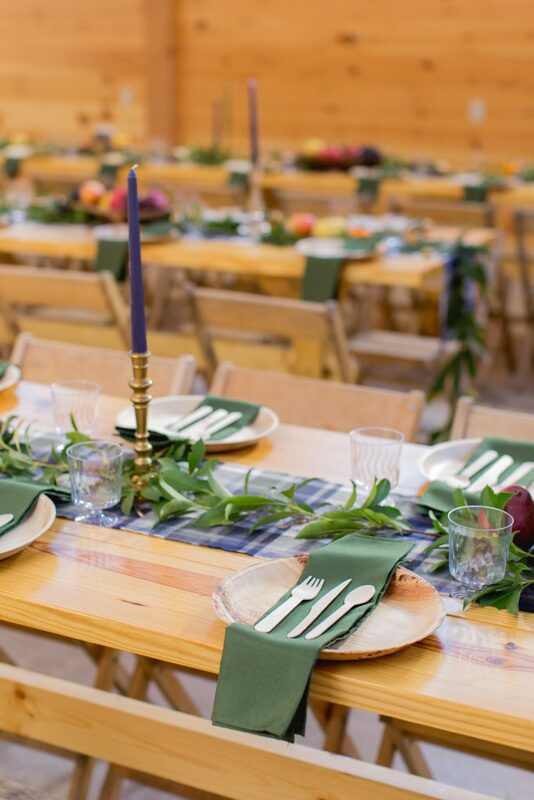 Green cloth napkins pulled in another warm organic feel and dressed up the palm leaf plates a bit. Kalyn is a big yogurt fan and saved all of her glass yogurt jars and painted them a light gold/brass color to match the candlesticks. 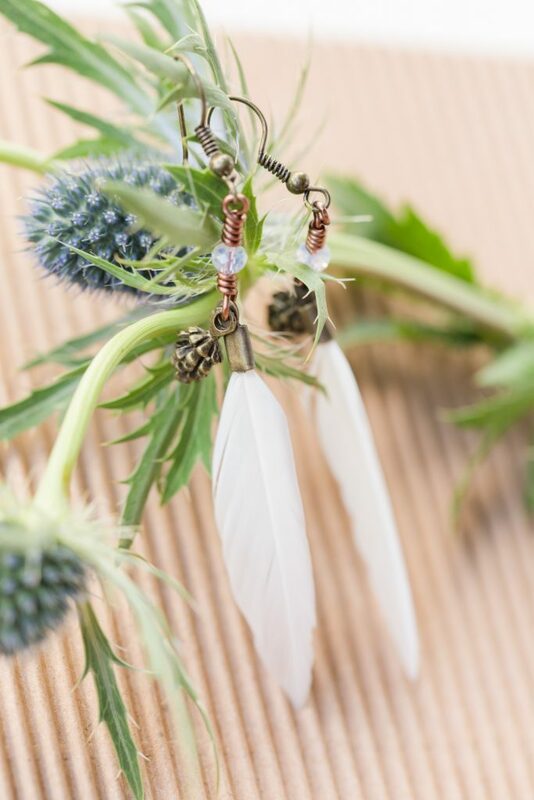 These were arranged on the tables to tie in a little more of the metals along the tables. 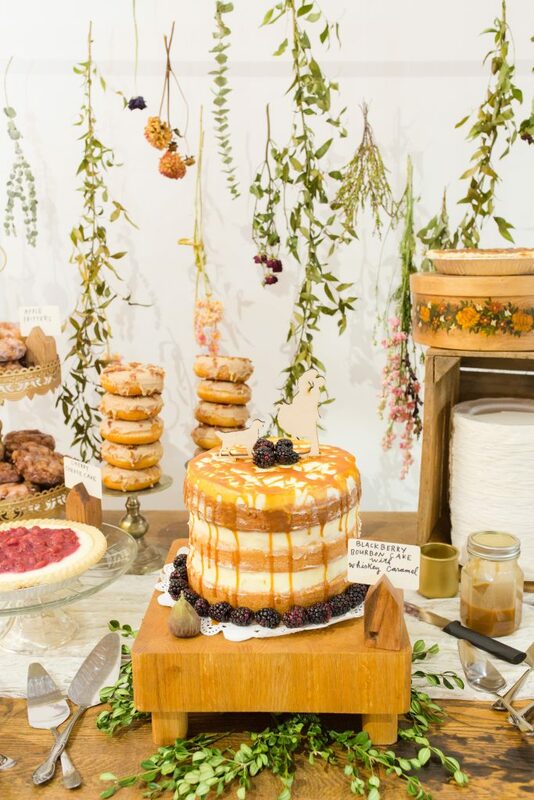 The dessert table was something I wanted to pop and stand out. 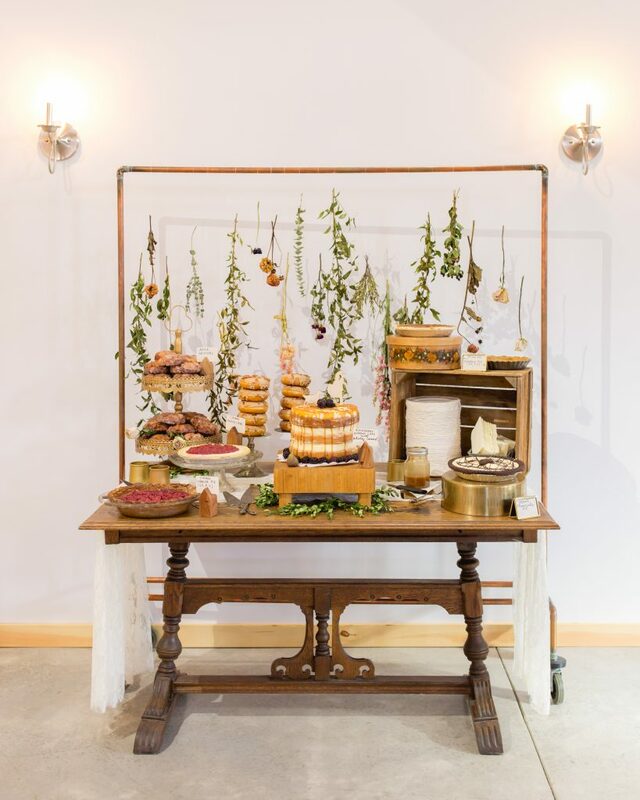 I used a copper hanging frame Skip made and hung dried flowers and greenery at various heights with white thread. 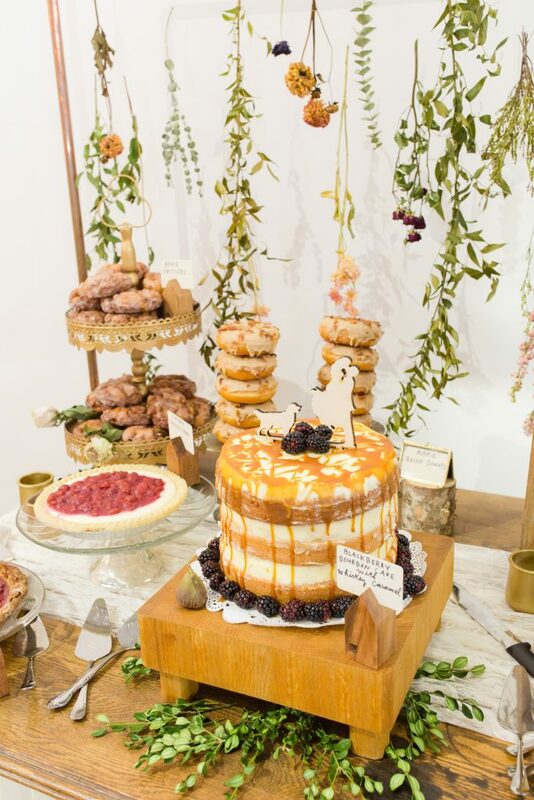 The result was a gorgeous and Eco-friendly display that helped make the dessert table a focal point, which Kevin and Anna loved for photos! 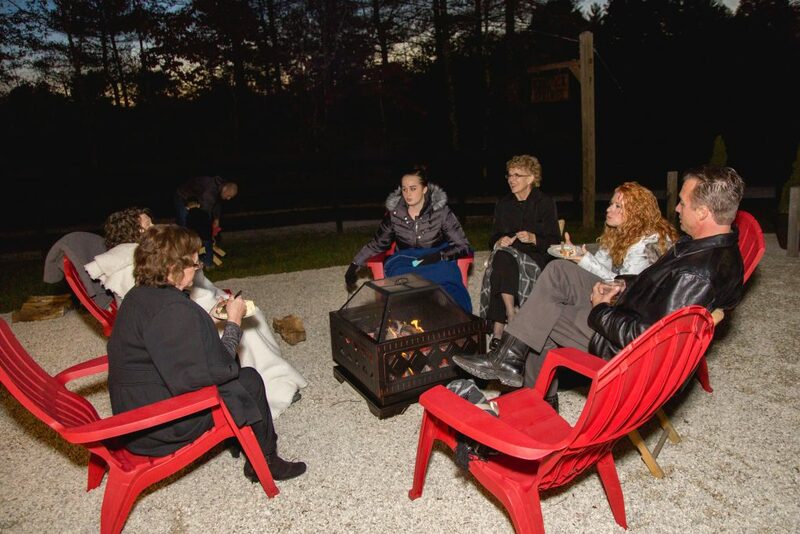 We knew once the sun set, it would get a bit chilly, so we brought in a fire pit and I gathered up thick fuzzy blankets to drape over our Adirondack chairs and placed them around the fire pit. This was by far the most popular place to hang out during the reception and only added to the homespun feel. Skip was adamant about having BBQ (one of his favorites) so we turned to Katie over at City BBQ who took care of everything for us. Their team is truly phenomenal,and I just can’t rave about them enough. Our guests were thrilled with the meal(the brisket was a bit hit!) and we were thrilled with the service and quality they provided. I wanted to put a bit of a personal touch on the appetizers, as well as give our Vegan, Paleo, and Gluten Free guests some more options. I opted for a butternut squash curry and carrot soup with various cracker options and a crostini bar with a variety of jams, spreads and cheeses. My brother-in-law, Justin (AKA ‘Dip Man J’) was kind enough to bring along some mouthwatering vegan spreads he made, which disappeared completely. The Crazy Bunny Lady made the absolute CUTEST cake topper for us (you guys have to check her out!). I also made a few Vegan, Paleo and Gluten Free pies and we had maple bacon donuts and apple fritters delivered from Chocolat Inn & Café and my dear friend Geralyn made some cherry cobblers. At the end of the night, the only dessert left were some donuts, and guests were happily taking those with them to enjoy on the drive home or for breakfast the next morning. 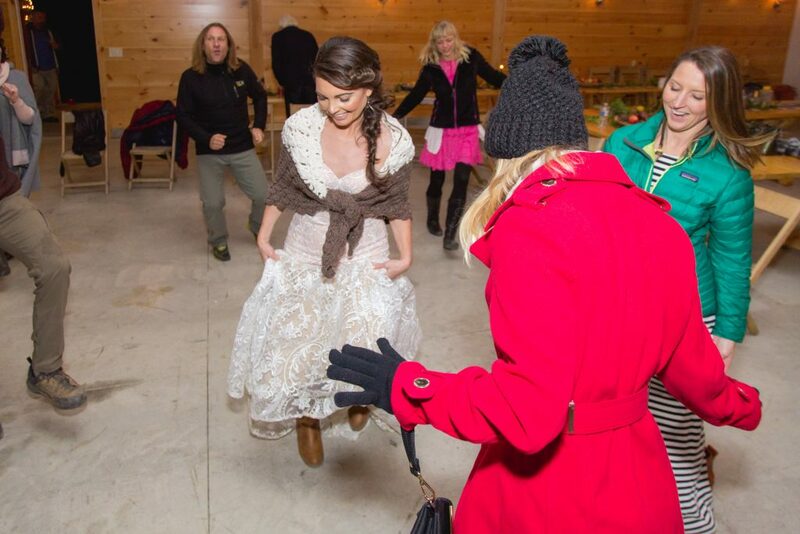 Our wedding was in November, and it got chilly at night, so having a hot beverage bar was a must have. 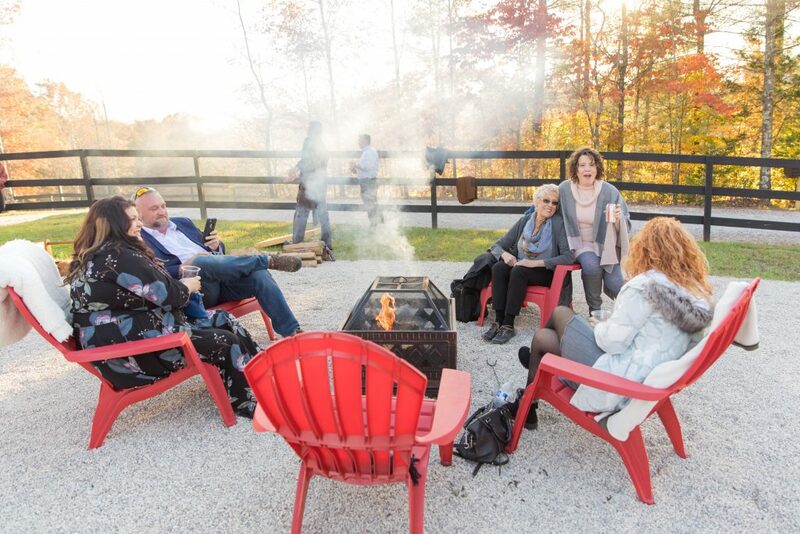 Our guests loved the hot apple cider, hot chocolate and tea with all the fixings. 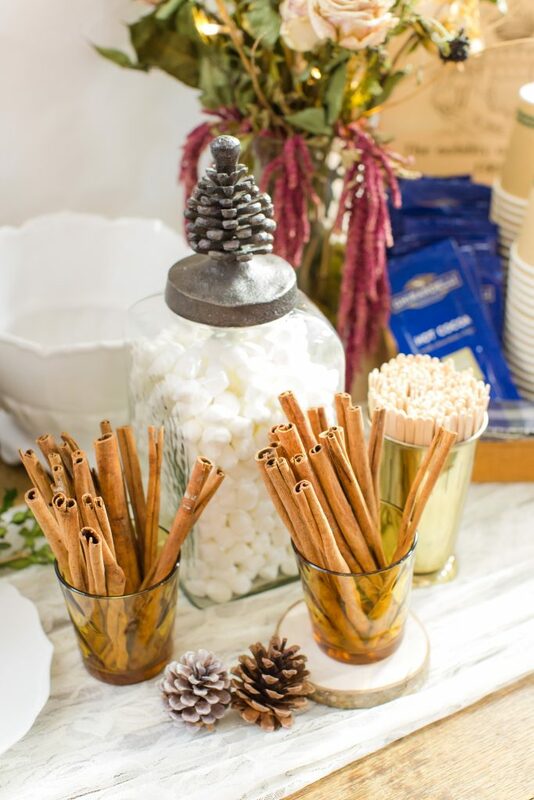 A hot drink went well with the desserts and helped keep our guests warm and toasty. 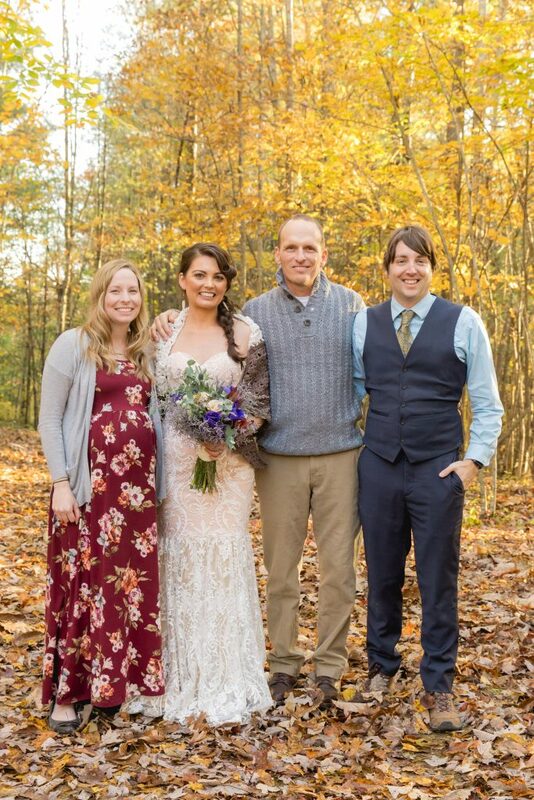 It was important to me that Skip was comfortable and although he offered to wear whatever tux or suit I thought would look best, I thought a more casual and relaxed choice would be perfect. 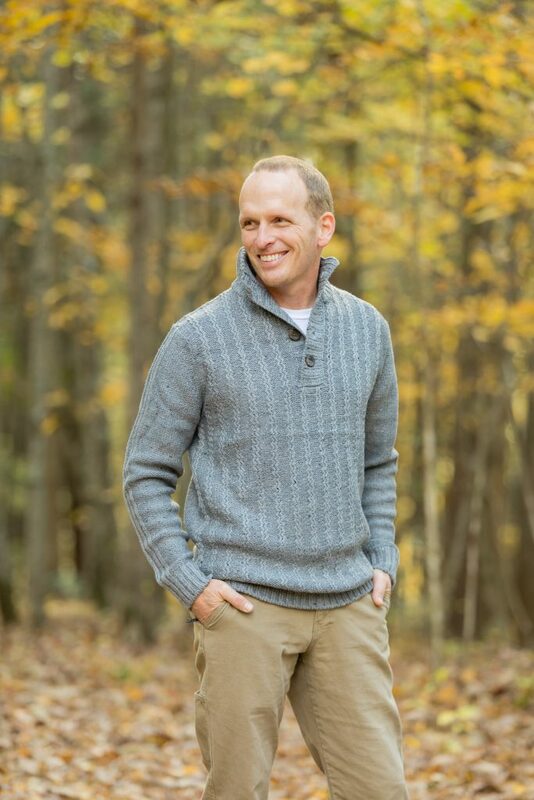 We went with his Camel colored Columbia pants and a chunky gray sweater with hiking boots. 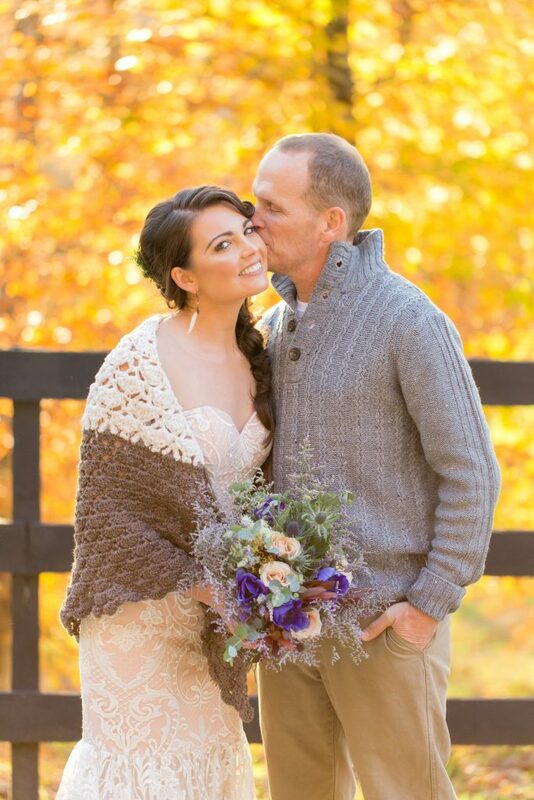 For me, Renee’s Bridal Kentucky saved the day…truly! With zero time for dress shopping, I waited waaaaay too long and popped into her shop worried I’d have to settle for anything that fit. Renee took me from worried and frazzled into runway ready mode in about 25 minutes. Not even kidding y’all. She’s amazing. Not only as a person, but as a designer and dress maker. She literally designs every single detail and then makes every single dress by hand in her gorgeous store in Mt. Sterling, KY. 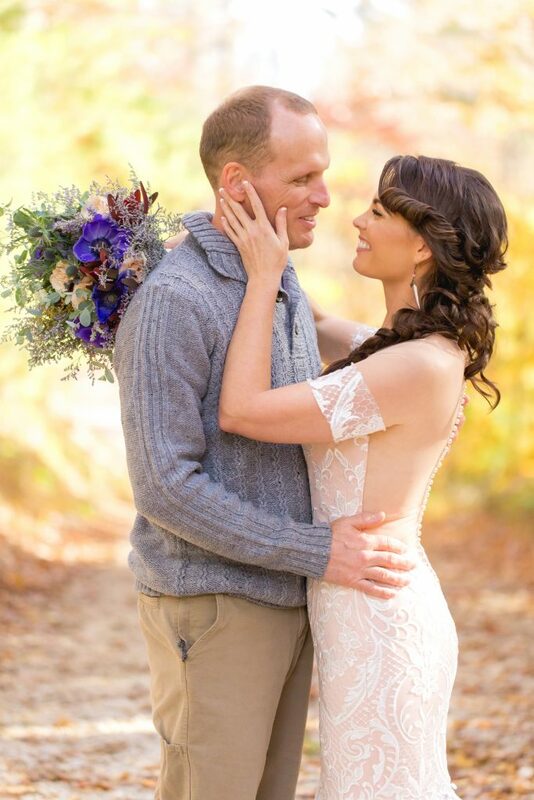 I still have people asking me about my wedding dress and commenting on how stunning it was. Renee always names her designs after the first person to purchase the gown, and you can now ask for the gown I wore as The Hemlock. You should put her at the top of your list when dress shopping. I promise you won’t be disappointed! 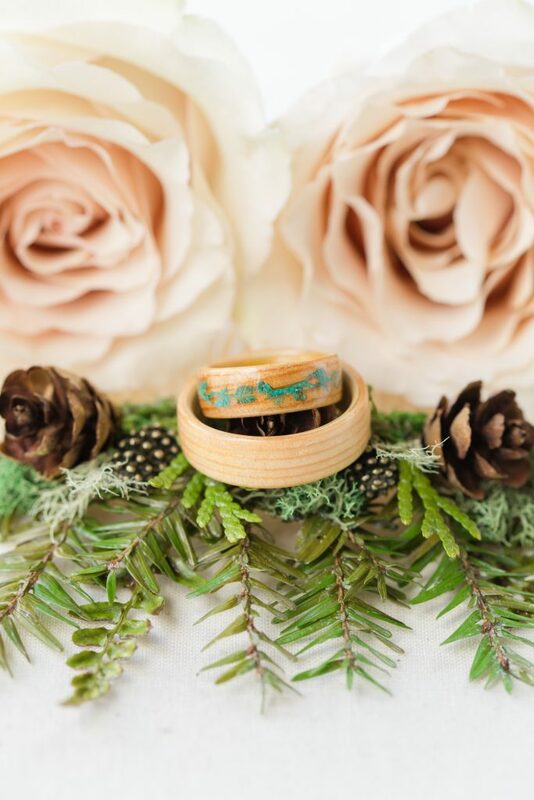 I wanted to incorporate natural elements into my attire to match the custom wood rings Skip and I had made from Northwood Rings, while at the same time supporting a local artist, so I turned to Heather Watson with Frolic In The Forest to create some custom pieces. 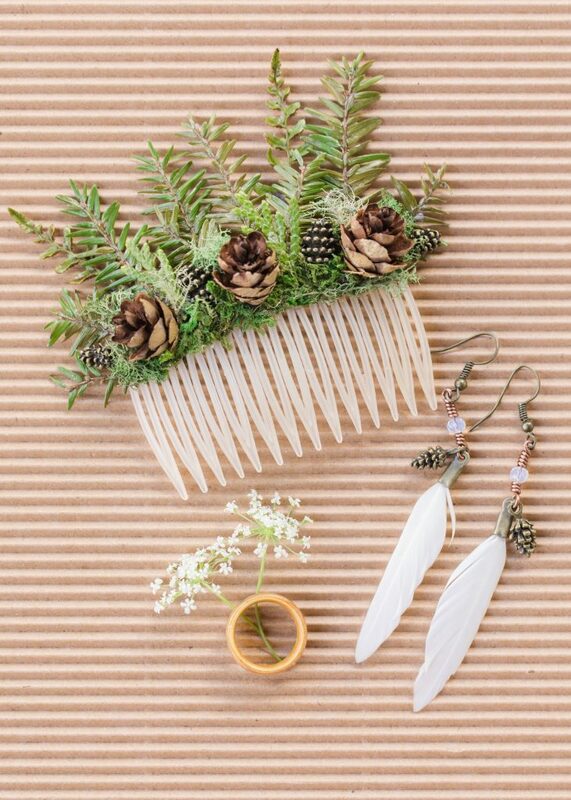 Heather forages in the woods for things to use in her jewelry and included real Hemlock (our favorite tree) pine cones, moss and Hemlock branches (which match perfectly the malachite inlayed Hemlock branch on my ring that our dear friend Tim Yates designed) to create boho-nature inspired earrings and a hair comb. I was THRILLED with the results and still enjoy wearing the pieces. If you’re looking for something natural and unique, you should send her a message today! For hair and makeup, Danielle Braden over at Danielle Braden at Studio B Color Lounge created a look that was perfect for me! 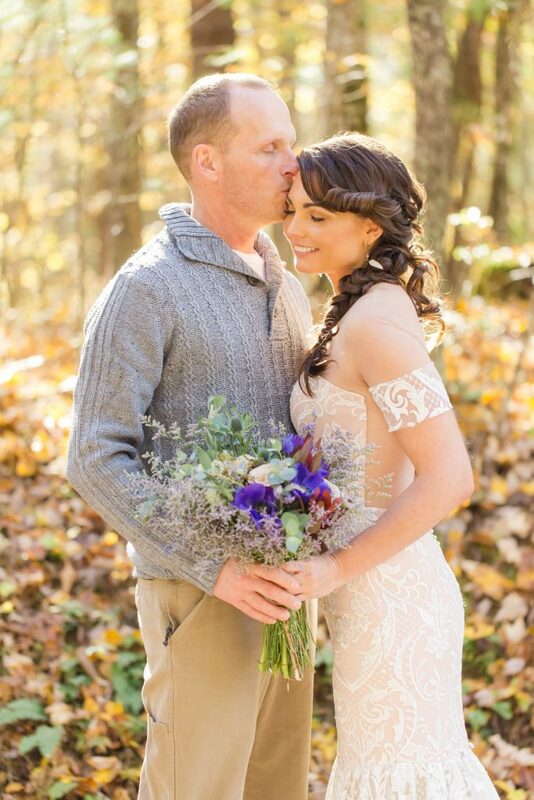 She focused on a natural glow so that I would be more comfortable with not wearing tons of makeup and the loose,free-flowing braid she created was absolutely perfect! My friends and family kept commenting on how pretty it was all night. Danielle also stayed throughout the ceremony and into part of the reception to make sure I was touched up and every hair was in place J She does fantastic work, is tons of fun to hang out with and is incredibly thoughtful and thorough. Call her today! 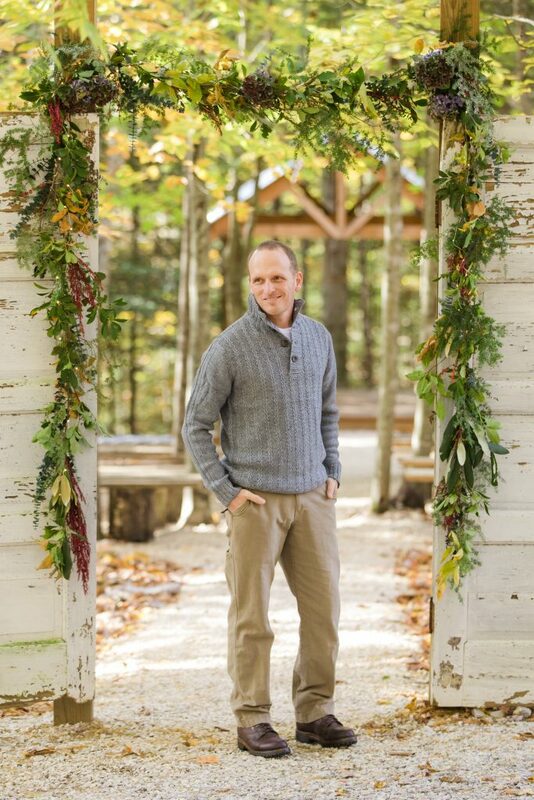 Besides the mountain laurel and rhododendron garland on the tables, I knew the antique doors at the ceremony site needed a touch of décor as well. 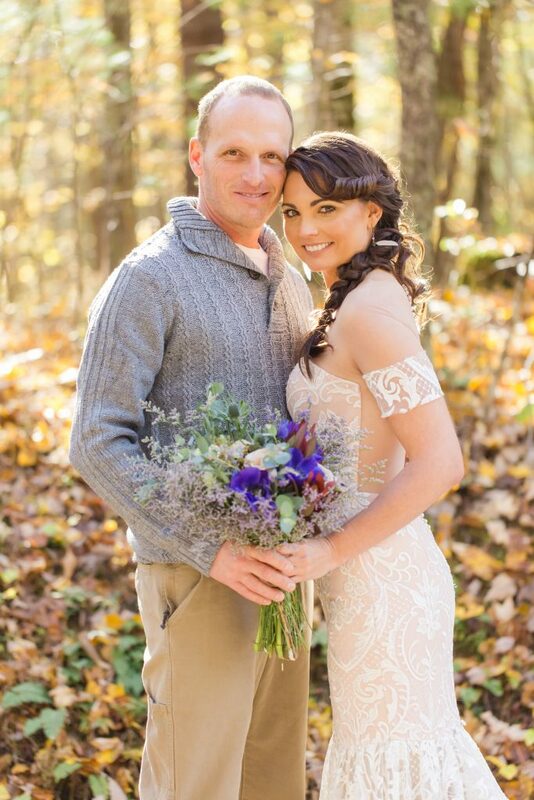 Kalyn created a stunning garland with pops of color and battery-operated fairy lights mixed in. Vickie over at Positive Attraction Soap Company put together not one, but two bouquets filled with sage, patchouli, rosemary, geranium, lemon verbena, sweet Annie, kale,roses, and eucalyptus. 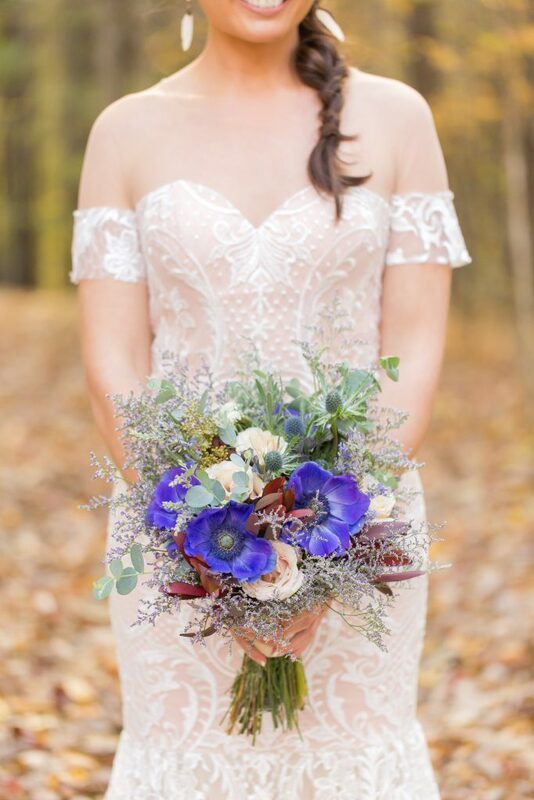 These bouquets were not only absolutely gorgeous, but they smelled soooooo amazing!!! 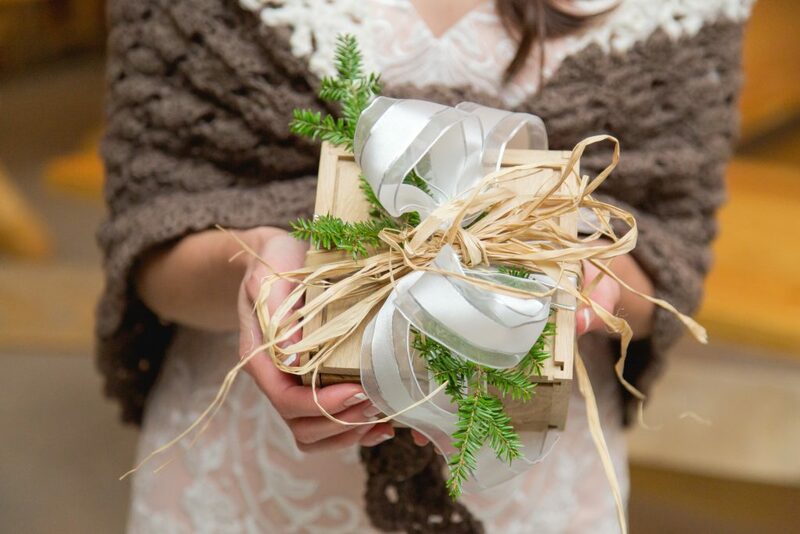 Besides providing beautiful flowers, Positive Attraction also put together some amazing gifts for family members filled with their signature organic, locally-grown and handmade bath products. If you want something truly unique, give them a shout! For our ceremony music, Skip and I spent hours going through samples of music to select songs that we both liked and that carried through the home theme. 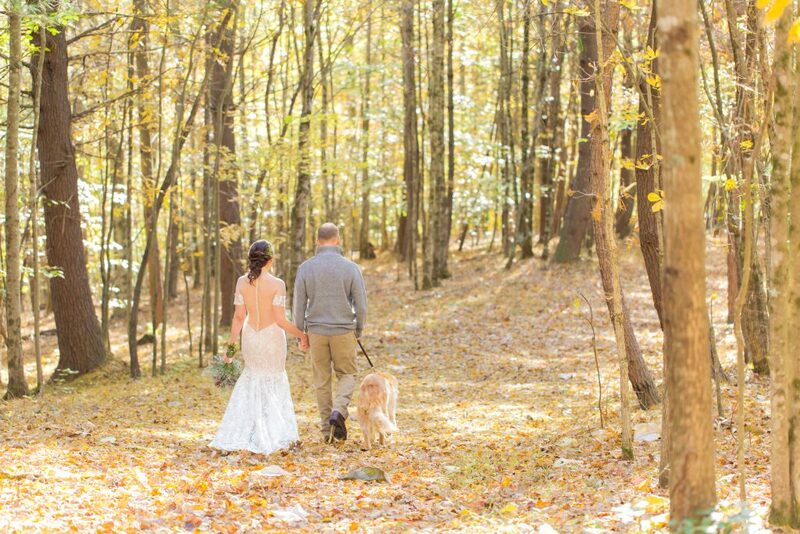 We opted for instrumental versions of songs and chose Phillip Phillip’s Home as recorded by the Piano Guys for my walk down the aisle. It’s a song that we claimed as “ours” years ago and we felt it was only appropriate that it play a central role in our wedding day. 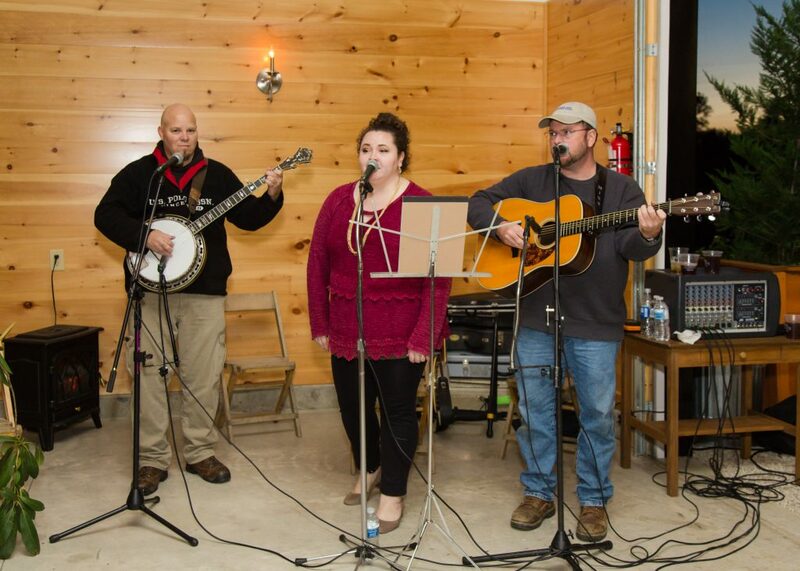 Skip and I both love Bluegrass music and decided that hiring a local Bluegrass Band would be a great treat for us and our guests. We selected Southern Blend and were beyond thrilled with their performance! 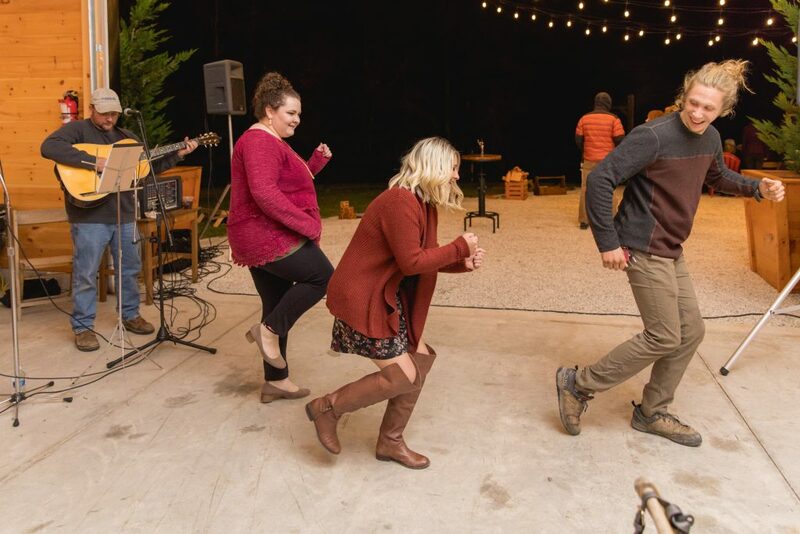 They kept the party going, were a blast to work with, and sounded absolutely amazing! If you’re looking for a band with local roots, check them out! 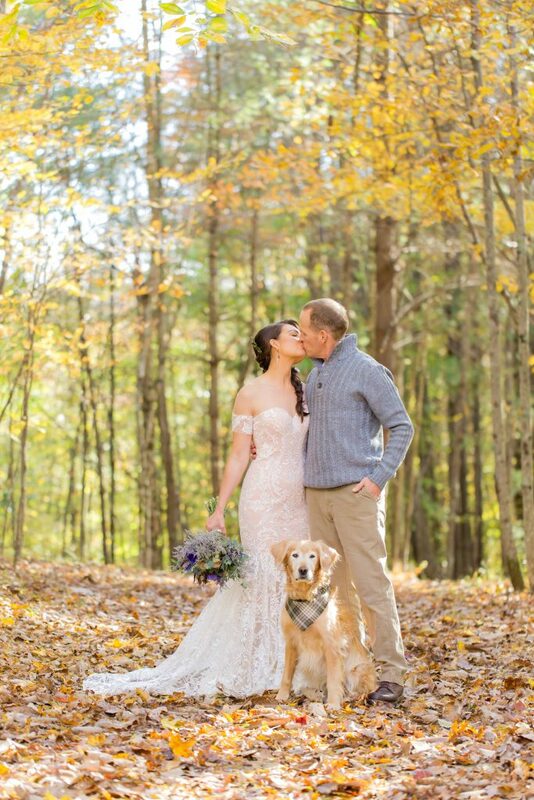 Briggs is our furry baby boy and having him with me on our wedding day was very important. He wore a flannel bandanna and completely hammed it up for photos. He helped keep me calm and centered as I prepared for the day never leaving my side and more than fulfilled his role as companion, therapy dog, comedic relief and best friend. 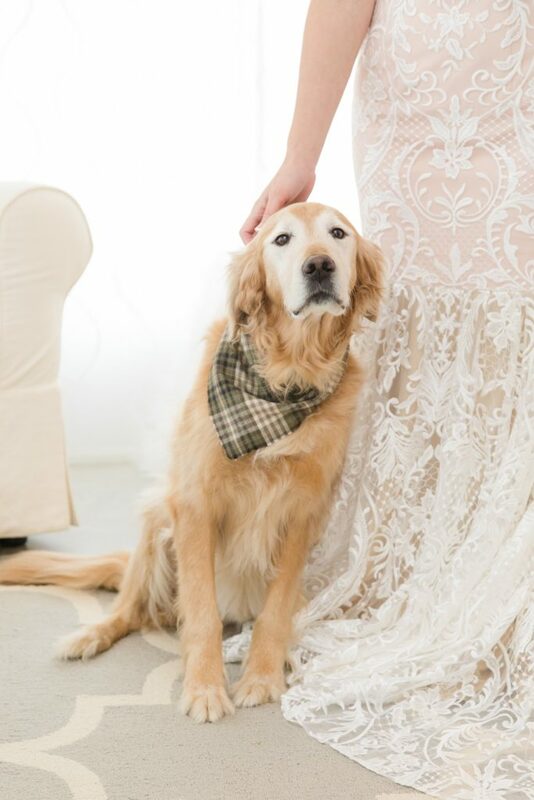 Although Briggs LOVES a crowd of people to pet, love on and dote on him, he remained on leash during the ceremony and then was taken back to the house and his comfy bed and a nice quiet dinner afterwards. 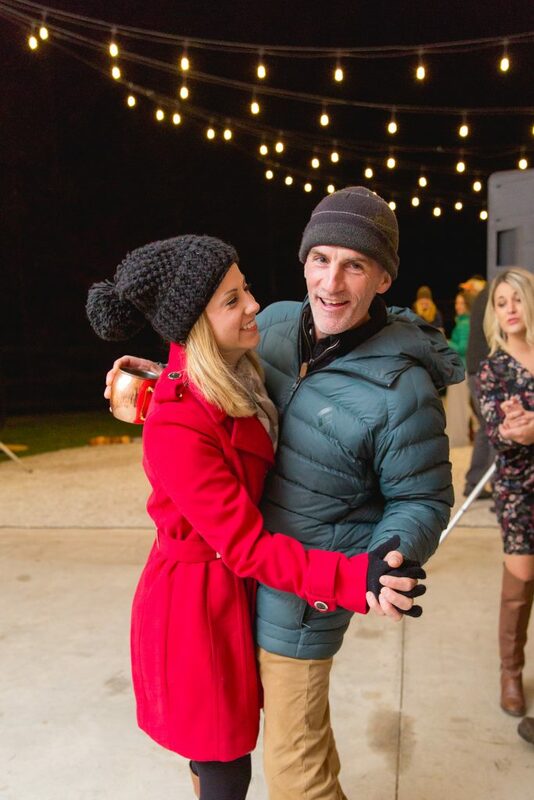 A couple of great friends helped tremendously by checking on him and loving on him throughout the evening, but with such a large crowd and loud music, he was much more comfortable in his house than he would have been at the party. 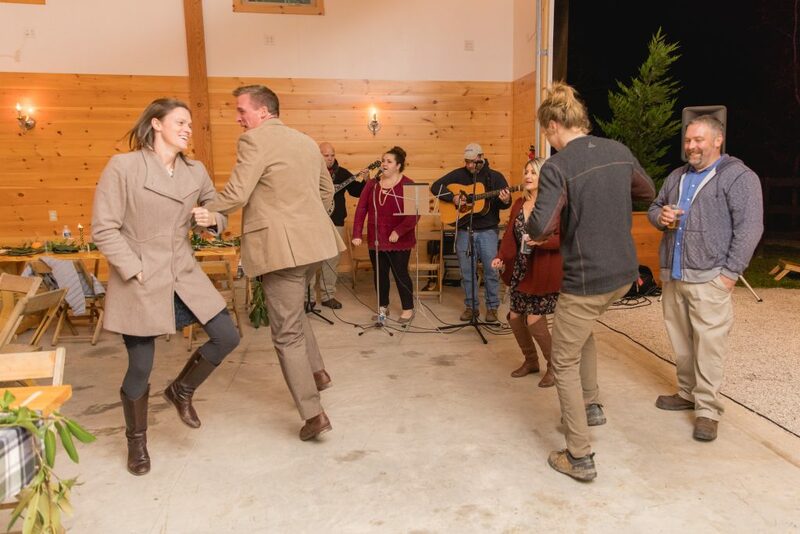 At the end of the day, we were pleased with our fall wedding in the radiant Red River Gorge, and beyond thrilled to finally be able to celebrate our journey and new beginning with our guests. It’s a day I know we will look back on with warm, glowing fondness. Every single vendor we worked with is one we would highly recommend and we are happy to point you their direction if you’re in need of suggestions. Our hearts are brimming with joy which has made all of the bumps in the road we’ve been on together so very worth it. We look forward now, as husband and wife, to many new adventures, challenges and happy celebrations.